Am taking a few days out of my US trip to stop by Seattle to visit my aunt, uncle, and cousin, who gave birth to his child three weeks ago. Beautiful weather here. 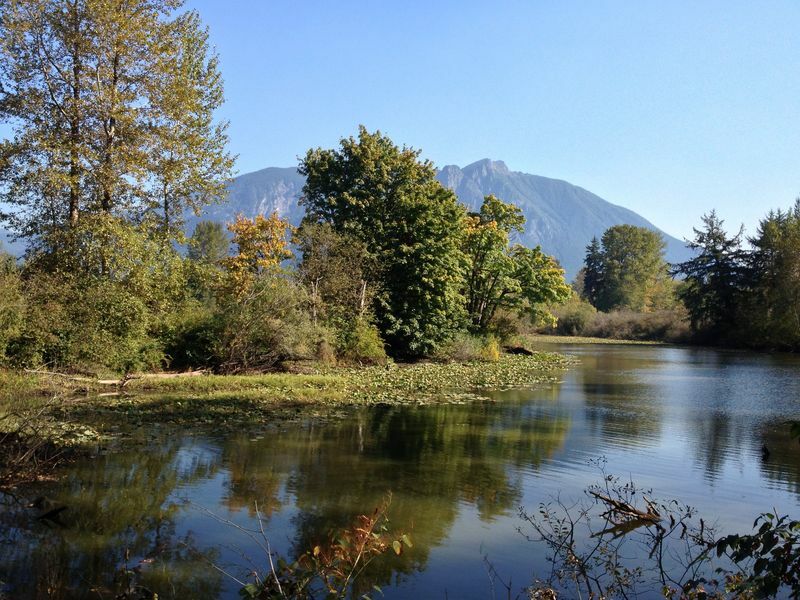 Spent an hour at Centinnial Park, which has a great view of Mount Si. I think I saw the baby on facebook and commented about how cuddly she is. i was in seattle during the summer time! what a beautiful state and the scenery there was gorgeous. So green! congrats to the family! beautiful baby and lovely fall trees and lake. is it smokey where you are from the cascade fires? such a great view at the park. that baby looks so tiny in your arms. @grannykaren – The Snoqualmie valley was protected from the smoke, but when I departed Seattle and the plane was climbing, you could see the widespread haze in the southern part of the Seattle-Tacoma area. Such a shame. @rudyhou – Oh, she is so tiny. Three weeks old – you forget how small they are at that point! @secade – Gosh, thank you. *blushes*@radio03 – It really is a spectacular state for scenery. My aunt, who has lived there 21 years, mentioned that she had observed how many foreign tourists come to visit Seattle and said that she once asked one couple from Norway why they had chosen to visit Seattle versus NY or LA. Their answer was that the scenery is so unlike what they have in many countries, especially the sheer vastness of it. While I was visiting, I did notice tons of foreign tourists, so I guess the natural beauty has its appeal! @ZSA_MD – @venice – @Fatcat723 – @alextebow – Thanks for your comments. Though a simple post, I think these two pics pretty much captured my visit to Seattle! Awww…. I get so mushy when I see baby pictures. You look so good holding the baby. 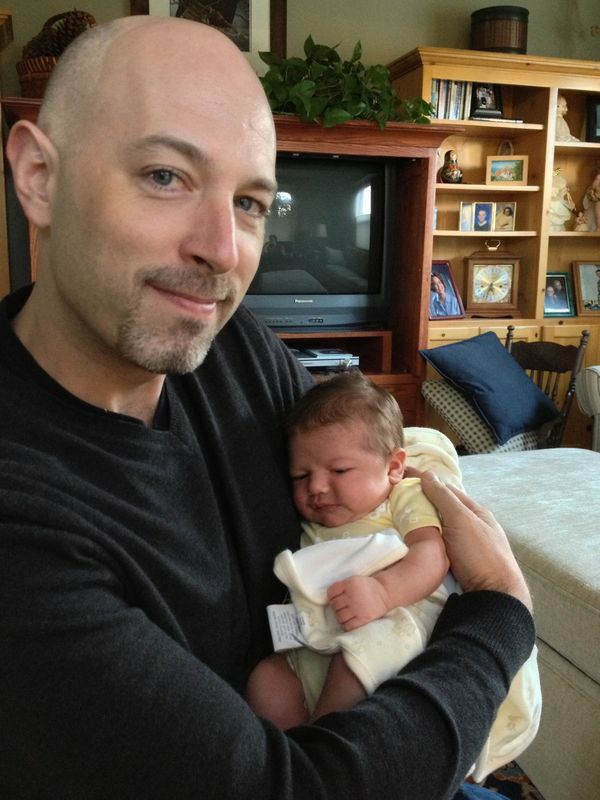 @ElusiveWords – It is that parental gene tugging at your heart strings Matt.